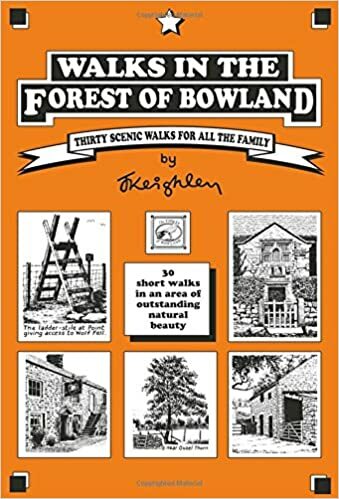 Below, RambleFest displays Forest of Bowland guidebooks and maps, and provides the facility for buying them online. 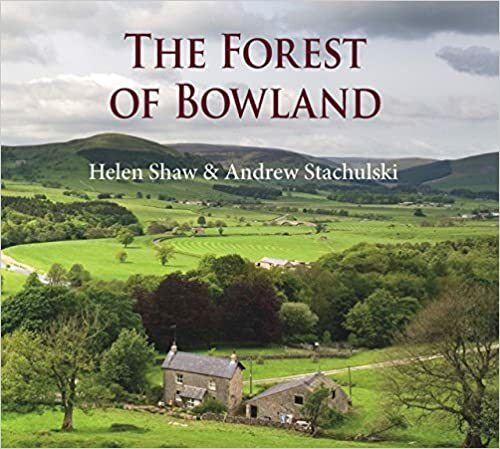 Forest of Bowland’s character is one of grandeur and isolation. The main Pennine range is dominated by a central upland core of deeply incised gritstone fells with summits above 450m and vast tracts of heather-covered peat moorland. 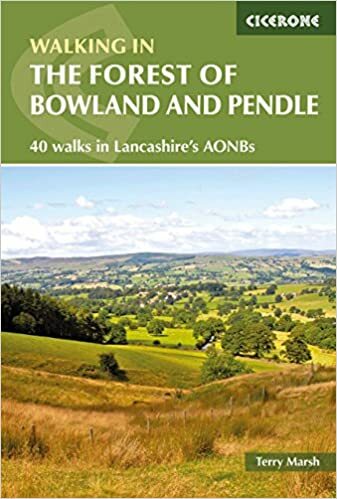 The foothills are dissected by steep-sided valleys which open out into the lowlands of the Ribble, Hodder, Wyre and Lune Valleys. Dotted with picturesque stone farms and villages, the lower slopes, criss-crossed by drystone walls, contrast with and complement the dramatic open sweep of the gritstone heights. On its south-eastern edge is Pendle Hill. The moors are a major breeding ground for upland birds, and the lowlands contain important ancient woodland habitat. Building in Bowland is in local gritstone and has a strong vernacular style which adds, rather than detracts, to the quality of the landscape. Some of the books displayed are out of print, but available from third-parties via Amazon. We welcome suggestions for additional guidebooks. The Ordnance Survey `Explorer’ map is available in standard quality (shown below ) as well as the all-weather type. If you plan to use the map a lot, then we advise buying the all-weather version.